We're all seeking comfort when it comes to dressing up, and this combination of an Eleventy merino wool silk tipped sweater from Nordstrom and blue ripped jeans is a wonderful example of that. Grey low top sneakers will instantly spruce up even the laziest of looks. If you're searching for a casual yet stylish ensemble, try pairing an Eleventy merino wool silk tipped sweater with white shorts. Both garments are totally comfortable and will look great paired together. When it comes to shoes, this look pairs wonderfully with navy leather boat shoes. 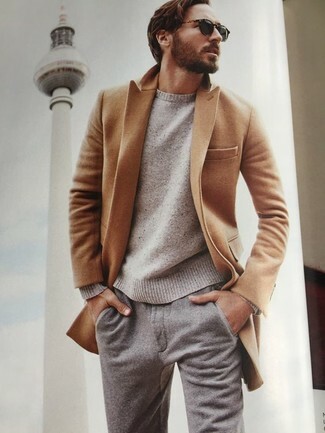 If you're searching for a casual yet sharp outfit, pair a beige crew-neck sweater with white chinos. Both garments are totally comfy and will look great when worn together. A pair of dark brown leather desert boots will integrate smoothly within a variety of combos. 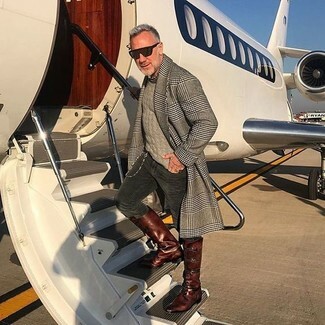 If you don't like getting too predictable with your ensembles, opt for an Eleventy merino wool silk tipped sweater and charcoal corduroy jeans. Bump up the cool of your look by finishing off with dark brown leather casual boots. If you're on a mission for a casual yet dapper ensemble, choose an Eleventy merino wool silk tipped sweater and black jeans. Both garments are totally comfortable and will look great paired together. Lift up your getup with tan leather casual boots. If you're on a mission for a casual yet sharp ensemble, rock an Eleventy merino wool silk tipped sweater with black chinos. Both garments are totally comfortable and will look great together. 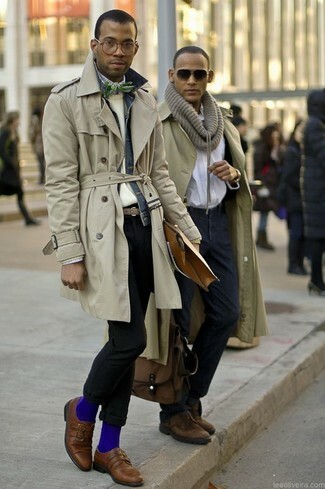 Wearing a pair of brown leather double monks is an easy way to add some flair to your getup. 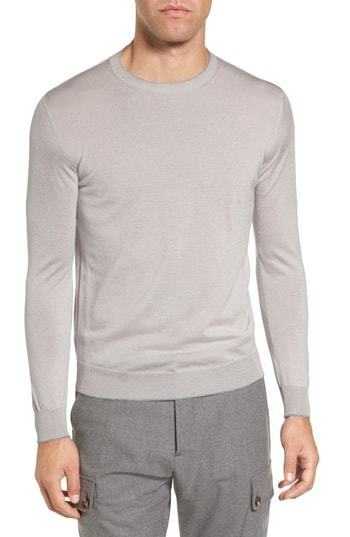 If you're on the hunt for a casual yet seriously stylish getup, pair an Eleventy merino wool silk tipped sweater from Nordstrom with grey wool chinos. Both garments are totally comfortable and will look great together. 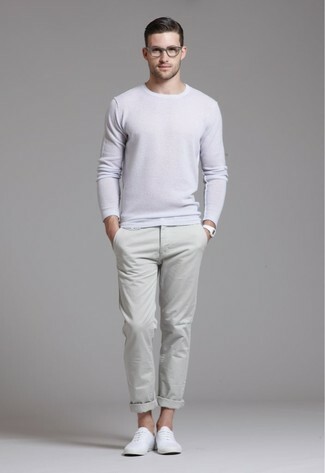 If you're in search of a casual yet sharp look, rock an Eleventy merino wool silk tipped sweater with beige chinos. Both pieces are totally comfortable and will look great together. When it comes to footwear, this outfit is round off wonderfully with white plimsolls. If you're searching for a casual yet sharp getup, opt for an Eleventy merino wool silk tipped sweater from Nordstrom and black skinny jeans. Both garments are totally comfortable and will look great paired together. 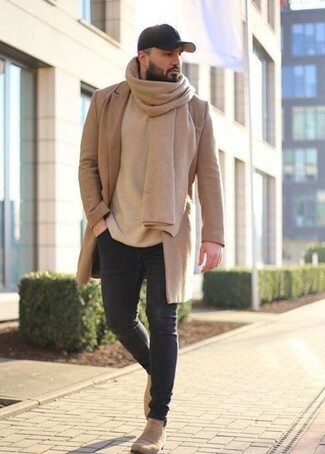 You could perhaps get a little creative in the shoe department and spruce up your look with beige suede chelsea boots.